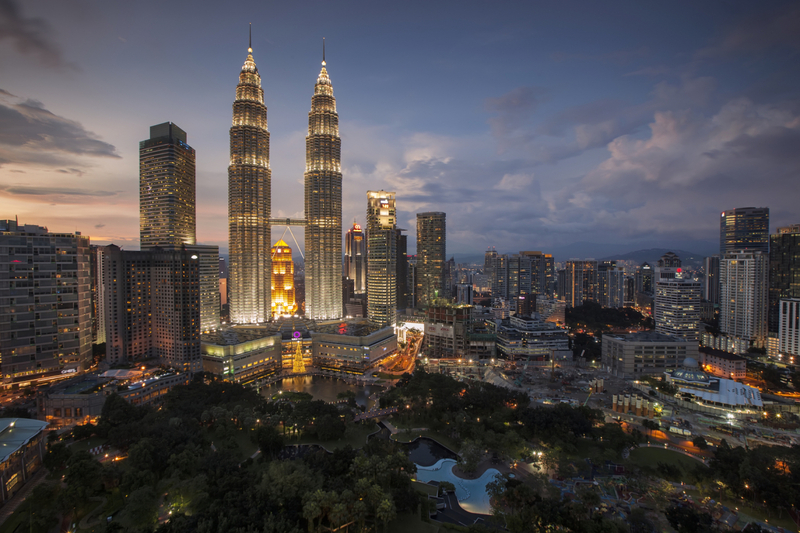 Only a four-hour flight away from Hong Kong, the capital city of Malaysia is seemingly only a business stop for most frequent travellers, but there’s definitely much more going on in this busy and multicultural metropolis than meets the eye. From soaring skyscrapers and hidden caves to the diversity of local flavours and contemporary new twists, Kuala Lumpur — or KL, as it’s most often referred to as — has plenty to offer leisure travellers. Read on to discover our top picks in this bustling city. St. Regis Kuala Lumpur deluxe room. The St. Regis Kuala Lumpur has the kind of glamour and grandeur that would suit Crazy Rich Asians. That’ll be why we recognised the Decanter Room in the hotel’s elegant Astor Bar, then: It’s shown in the scene in which Astrid, played by Gemma Chan, causally purchases a pair of gem-encrusted earrings for an easy US$1.2 million. Located in the heart of Kuala Lumpur, the hotel is conveniently located for getting to the airport and exploring the rest of the city. The stunning views of tropical gardens and mountains interspersed with skyscrapers is an added bonus, not to mention the signature 24-hour butler service to ensure the most refined of experiences. The rooms are spacious with walk-in-wardrobes and opulent bathrooms, but remain stylish with a timeless design adorned in dove grey and blue hues. When you stay, you’ll also need to be ready for polo. Or at least, that’s what it feels like when you first step into the lobby and a floor-to-ceiling leather mural depicting a powerful polo charge is the first thing that greets you. In fact, St. Regis’ passion for polo can be seen throughout the hotel — in the art and installations, but also in their annual Pink Polo event which aims to raise awareness and funds for breast cancer. Their private art collection is definitely worth a walk-through, too, with Andy Warhol prints and sculptures by Fernando Botero on view. The inverted karipap at Beta KL is a modern twist on the traditional curry puff. Malaysia is most definitely a food paradise, but it’s also a culinary cocktail of different influences from different ethnicities, and it’s this fusion of flavours that the rest of Asia has well and truly fallen in love with. But if you ask locals where to find the most authentic and delicious Malaysian cuisine is, they’re most likely to point you towards a hawker centre or ‘mamaks’ — open-air eateries where local delicacies are pumped out on the regular. On the other side, redefining traditional Malaysian food for a more contemporary audience is Beta KL, which is pushing the boundaries of local cuisine with a menu inspired by the four main regions of North, South, East and Central Malaysia. Expect some innovative creations in the colourful resto-bar setting and enjoy dishes such as twice-cooked Pongteh (a typical Peranakan dish) duck leg served with fermented black beans, fresh herbs and a crispy, flaky pancake called roti canai. Don’t miss the inverted karipap, which is a lighter, creamier and crunchier version of the well-loved curry puff, made with a hollow potato cylinder crisp, filled with curried potato cream and dusted with 24K gold. No trip to Kuala Lumpur would be complete without a visit to see the Petronas Towers. Standing 88 floors high, the twin skyscrapers are still one of the major attractions, and though it’s no longer the tallest structure in the world (it’s now the twelfth), the landmark is still very much a prominent feature of the city’s skyline. A ticket will take you up the towers to the Skybridge situated on the 41st floor, before a lift takes you to the 86th-floor observation deck at incredible speed for a 360-degree view of the city. What’s more, the towers are also home to Suria KLCC, one of the most popular shopping malls in Malaysia as well as their oceanarium, Aquaria KLCC, and their urban greenery and lake feature, KLCC Park. Just north of Kuala Lumpur is another of Malaysia’s treasures — the Batu Caves, which consist of a limestone hill with a collection of caves and temples within it. Guarding the front of this popular attraction is a stunning golden statue depicting the Hindu deity Lord Murugan, where you’ll have to climb 272 steps to visit the temple cave which holds a mystical atmosphere when you enter. More recently, the steps have been given a rainbow makeover, making way for rather colourful selfies at the site. But watch out for the myriad of macaque monkeys who have a penchant for handbags and hats. You’ll want to visit Bangsar, too, which is one of the city’s cooler neighbourhoods for bars, pubs and bistros aplenty. But for one of the best drinks in the city, head straight to Coley. Recently relocated to a bigger space, the unassuming bar offers drinks that are just as laid-back and unpretentious but still hit the mark, having made it as #46 on Asia’s 50 Best Bars. Named after bartending legend Ada “Coley” Coleman of The Savoy Hotel (he created the Hanky Panky in 1903), the bar pours some of the great classics exceptionally well but also offers some bold and inventive creations that incorporate local flavours such as pandan, longan fruit and, of course, coconut, which also features in our cocktail, or as Coley calls it ‘koktel’, of choice: Gin and Coconut, a thirst-quenching twist on the traditional G&T. Top Travel Tip: It’s easy to get around the city by car or taxi, but make sure to use metered taxis as some drivers have a tendency not to use the meter if they notice you are a tourist. Otherwise, download Grab, which is Southeast Asia’s number one ride-hailing app and is simple and quick to use. However, try to avoid rush hour on the roads, which is usually when people go to and from work (7am–10am and 4pm–8pm) so you don’t end up sitting in traffic for ages.